How To Choose A Safe Tea To Drink? How Many Cups Of Tea Are Safe During Pregnancy? 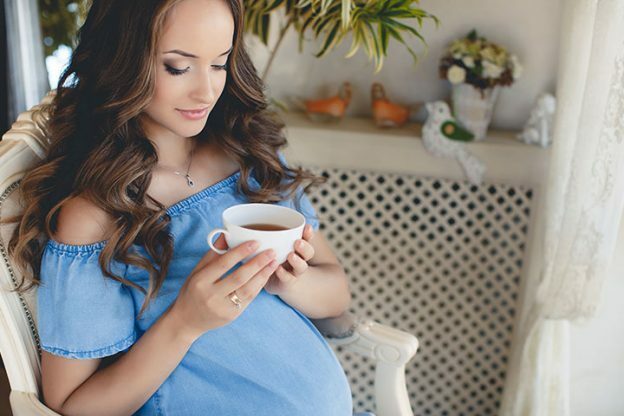 What Teas Should You Avoid During Pregnancy? Most people are culturally ingrained to the ritual of having a cup of tea in the morning, or evening. Others drink it out of habit and a liking towards the refreshing feeling that a freshly brewed cup of tea gives them. Either way, tea is one of the most consumed beverages by people around the world, including pregnant women. But is that morning cup of tea you have every day good for you and your unborn child? How much of it should you drink to avoid the side effects, if any? Find out in this MomJunction post about drinking tea during pregnancy. Yes, it is safe to consume a moderate amount of tea when you are pregnant. Tea leaves contain polyphenols and antioxidants that protect your cardiac health and boost your immunity (1). However, they also contain caffeine, which you should consume no more than 200mg in a day (2). The caffeine content in a cup of tea depends on factors such as origin, processing, brewing time, and brewing temperature. Generally, one cup of non-herbal teas including milk tea, white tea, black tea, oolong or green tea contains about 40 to 50mg of caffeine whereas herbal teas contain negligible amounts of caffeine (3). Therefore, the herb teas are considered to be a safer option during pregnancy. Herbal teas also called “tisanes”, contain trace amounts of caffeine. They are made of leaves, roots, berries, flowers, seeds, and barks of various medicinal plants. Also, teas combined with other ingredients (such as mint or spices) have lower caffeine levels. 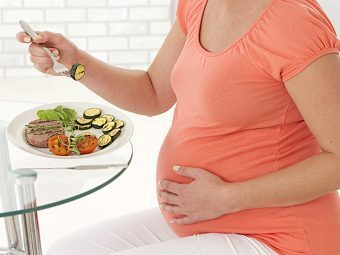 Here is a list of teas that are safe to consume during pregnancy. Ginger tea: It eases morning sickness, heals cold, sore throat and congestion (4). Boil a few pieces of ginger in hot water, and take it with honey and/or milk. Nettle tea: It is a nutrient-rich tea containing high levels of vitamins A, C, K and minerals including iron, calcium, potassium, and magnesium (5). It is best to have it in the second and third trimesters as nettle tea may cause uterine contractions, which could harm the vulnerable fetus in the first trimester. Raspberry leaf tea: It is rich in iron, calcium, and magnesium and is safe to consume from the second trimester. The rich mineral content of this herb tones the uterine muscles in preparation for labor, and also prevents post-partum hemorrhage (6). Dandelion leaf tea: It is high in iron, calcium, and potassium. 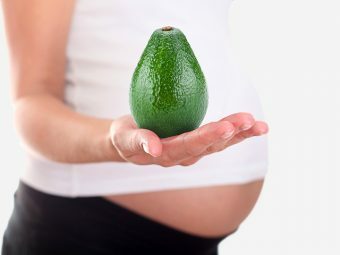 It has a diuretic effect and eases fluid retention in late pregnancy (7). Spearmint and Peppermint teas: They alleviate nausea, vomiting and also treat digestive issues by effectively relaxing the stomach muscles. These teas can be taken either alone or combined (8). Rooibos tea: It contains high levels of iron, zinc, magnesium, calcium, and antioxidants. It eases acid reflux, aids digestion, combats free radicals and detoxifies the body. It improves iron absorption, fights allergies and infections, and greatly improves immunity (9). Chamomile tea: It is a great source of calcium and magnesium, and thus eases joint inflammation. It is also useful in preventing insomnia and aiding labor contractions. You should avoid it if you are allergic to pollen and ragweed (8). Lemon balm tea: It effectively fights insomnia, irritability, and anxiety with its calming effects (10). You can combine any of these herbal teas with ingredients such as honey, cinnamon, citrus rinds, cloves, and fruit for added flavor. The right cup of tea can change elevate your mood and also energize you. So what and how you choose can make a huge difference in the tea-drinking experience. You may choose herbal teas over non-herbal teas as they are safe and beneficial. In any case, read the ingredient list before buying some tea. You can also talk to your health care provider to learn about the best teas. Begin with a small amount of tea, and notice your body’s response. If you seem alright without any reaction, you can slowly add more quantities to your everyday regimen. Do not consume tea if you are not aware of the ingredients regularly. Also, avoid tea made of unfamiliar ingredients. But even a healthy cup of tea could be bad when consumed in excess. Find out next, the ideal quantity of tea you can safely consume during pregnancy. During pregnancy, you should limit your caffeine consumption to 200 milligrams a day. As said above, a single cup of tea contains around 40 to 50 milligrams; you can take up to three to four cups of non-herbal teas in a day with no worries (11). Although it is alright to drink tea during pregnancy, some teas contain high caffeine levels and should be restricted during pregnancy (12). Not all teas are known to be safe or unsafe. Here is a list of teas which haven’t been studied enough to understand their effect on pregnancy, and are best avoided for your well being. Consume these teas, in minimal amounts, only on approval of your doctor. Too long a list to remember? Keep in mind only the list of safe teas and enjoy them while you are pregnant. You can also decaf the stronger teas so that most of the caffeine is removed. To decaffeinate tea, steep the leaves or bag for about 30 seconds, remove the water and again fill the cup with hot water. Repeat it one more time. You will get decaf tea. Moderate consumption of caffeinated tea is not known to cause adverse effects. But, if caffeine consumption exceeds 200mg in a day, it is likely to affect the growth and development of the fetus. 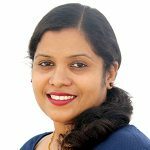 You may have a miscarriage, or give birth to babies with intrauterine growth restrictions (IUGR). Excessive caffeine is known to cause vasoconstriction of blood vessels and interfere with cell division that causes these ill effects (14). Next, we answer some common queries about tea during pregnancy for your better understanding. 1. Can I take milk tea during pregnancy? You should limit your consumption to one cup of milk tea a day. Milk is high in sugar that leads to weight gain, which might affect the delivery. 2. Can tea cause a miscarriage? Excessive consumption of tea results in excessive caffeine intake and could increase the risk of miscarriage (15). 3. Is chai tea safe to drink while pregnant? Chai tea or masala chai is the Indian version of tea that is a combination of black tea seasoned with herbs such as ginger, cardamom, black pepper, cinnamon, nutmeg, almond, rose or licorice, all of which give it a spicy flavor. It is safe to take this in moderate amounts as the different spices might have varied effects during pregnancy. 4. Can I have cinnamon tea during pregnancy? Cinnamon tea is okay to consume as long as you consider taking in very minimal amounts. It contains essentials oils that may induce uterine contractions and thus harmful to the fetus (16). 5. Is green tea safe during pregnancy? Green tea is safe when you take in minimal quantities. It contains high levels of caffeine and also reduces folate levels in the body (17) (18). 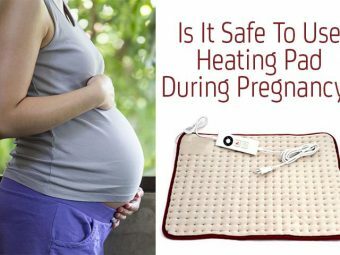 It is better to consider taking it from the second trimester. A hot cup of tea in the morning or iced teas during summers can be good. But if you think a specific variety of tea is not suiting you, avoid it. If you are still unsure about which tea to take, consult your doctor once and always check the ingredients before selecting a tea. What’s your favorite tea and how do you make it? Share your experiences with our other readers in the below comment section.